This is a large 'Remington' style folder. 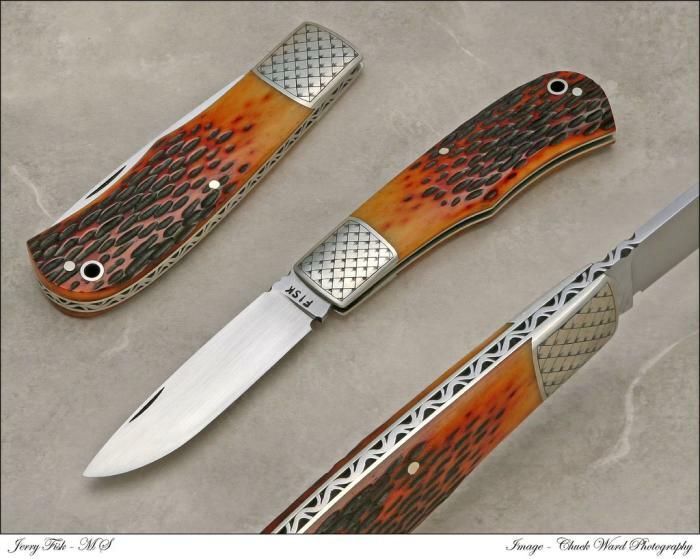 Single blade, drop point with a 4 1/4 inch blade. it is a heavy duty folder that requires a sheath. Use this one to do about anythng from peel and apple to peeling a mooose.